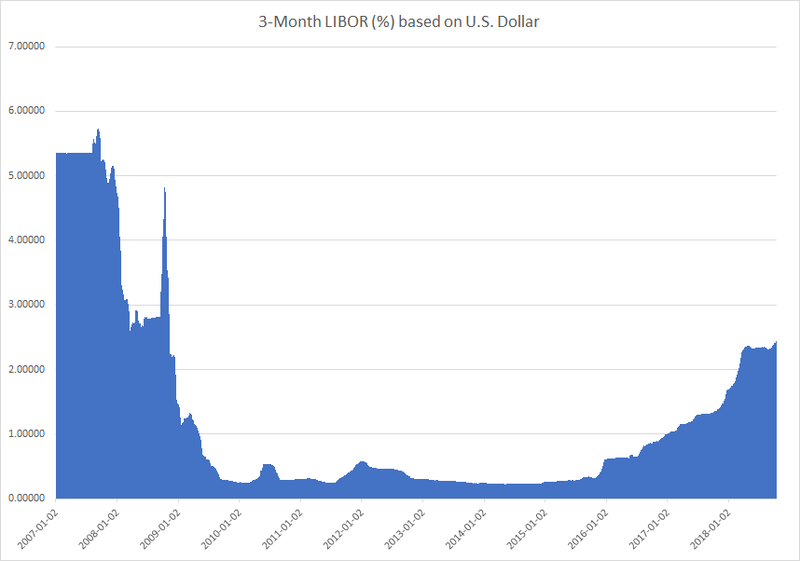 Dollar LIBOR hits 10-Year High – Federal Funds rate outlook or Credit Risk to blame? Three-month U.S. Dollar London interbank offered rate (LIBOR) that serves as the basis for trillions of dollars in loans and floating-rate securities globally hit a 10-year high of 2.45%, the highest level since November 2008. The U.S. economy is doing great and is set to contribute 25% of global Gross Domestic Product (GDP) this year, its highest share since 2007. The rise of the U.S. dollar and increases in interest rates are squeezing emerging economics at an unprecedent pace. 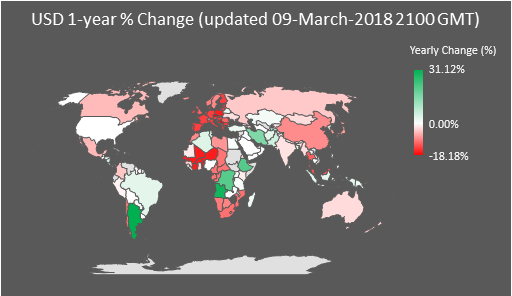 But it isn’t just emerging economies that are feeling the squeeze, Europe has its problems with Italian debt (and yields), the Australian dollar which has long been considered a growth asset has been falling this year and elsewhere trade worries and rising oil prices are having a big impact on other nations. Even German factory orders are the weakest in years as the U.S. is truly taking back economic leadership. History is repeating itself, is this the end of the current cycle of global synchronised growth? 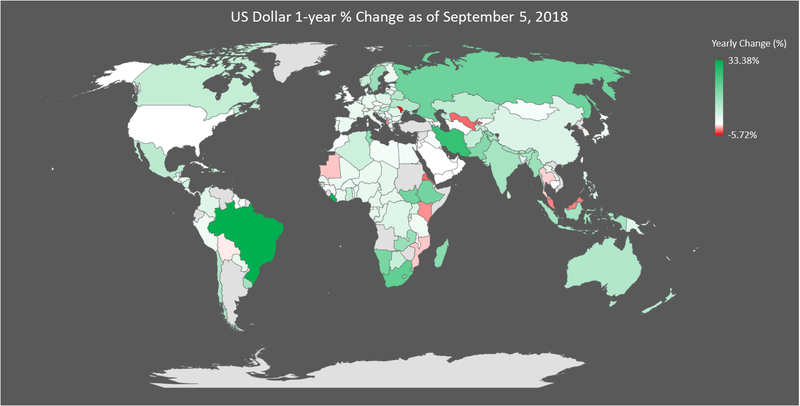 When does a weak US dollar become a headache for the Federal Reserve? 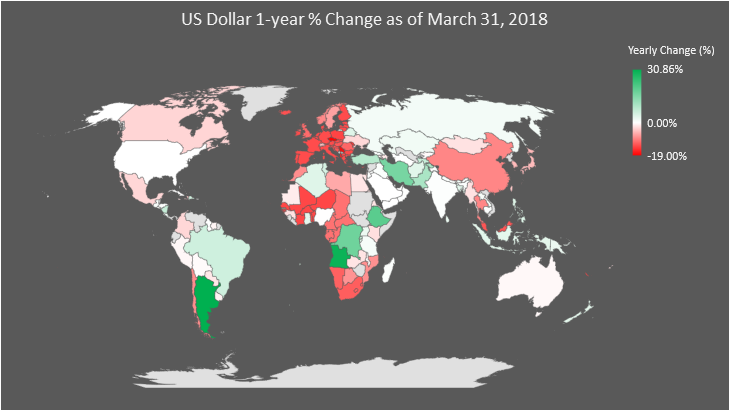 The US dollar has lost significantly against a basket of currencies in both 2017 and 2018 (so far), details here.